Ballroom dancing may help improve function in patients with MS, researchers reported here. 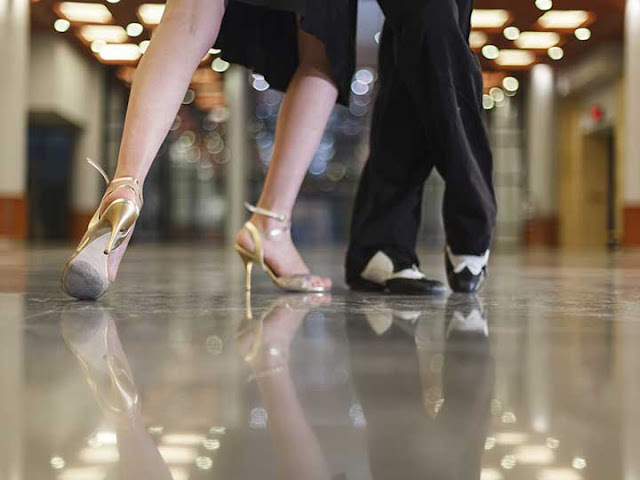 In a small study, MS patients who participated in a ballroom dance program -- which included waltz, foxtrot, swing, and salsa, among others -- had improvements over baseline on several functional measures, Alexander Ng, PhD, of Marquette University in Milwaukee, and colleagues reported during a poster session at the Consortium of Multiple Sclerosis Centers meeting here. "I can say that recreational ballroom or social dance appears to be fun and well tolerated," Ng told MedPage Today. "As such it can be an important component of an active or at least nonsedentary lifestyle for persons with MS."
Ballroom dancing has been shown to help improve motor function in Parkinson's disease, but it hasn't been well studied in MS, Ng said -- with the exception of one recent study by Albert Lo, MD, of Brown University. That pilot study, reported in Disability and Rehabilitation, found that structured dance intervention improved physical activity as well as gait and balance in MS patients. Ng said he was at an MS meeting when the topic of dance came up, with an emphasis on its efficacy in Parkinson's, and he thought perhaps it was time to look at recreational dance for MS patients. Fortuitously, a colleague's daughter was a professional ballroom dance instructor and was looking for new opportunities. "The rest is history," Ng said. He explained that ballroom dancing could be effective exercise for MS patients with mild to moderate impairment, and that the added cognitive demand of learning and remembering new movements may help improve function. So he and his colleagues enrolled 12 MS patients in an 8-to-10-week recreational ballroom dance program that met twice a week for an hour each time. Dancing instructors did not have MS. Dances included rumba, foxtrot, waltz, swing, American tango, push-pull, and salsa. Ng and colleagues assessed several parameters before and after the course, including Fatigue Impact Scale (FIS), 6-Minute Walk (6MW), Berg Balance Scale (BBS), Timed Up and Go (TUG), Dynamic Gait Index (DGI), Timed 25-Foot Walk (T25FW), 3-Second Paced Auditory Serial Addition Test (PASAT-3), and 9-Hole Peg Test (9HP). The team also assessed heart rate variability via a 10-minute rest EKG. Scores on both the T25FW and FIS trended toward improvement (P=0.08 for both) but didn't have significant improvements over baseline. And there were no improvements in the Berg Balance Scale. The researchers concluded that their results indicate ballroom dance can be a "fun social form of physical activity for people with MS that can result in improved motor performance, gait, endurance, and cognition." Ng told MedPage Today that he would "take the conservative view and state that preliminary benefits to physical and psychosocial function need to be confirmed and replicated by other groups," but he added that Lo also presented additional findings from his dance study at the meeting. "Even here at this meeting two different labs with two styles of partnered dance are in agreement," he said. Lo, who was not involved in the study, said dance "is a way to increase physical activity for everyone." "Americans are less active than recommended by AHA criteria, and MS is even worse," Lo said. "Like all therapies, it will not be for everyone, but if the trial is proven to be safe and effective, it could be a fun and engaging option."